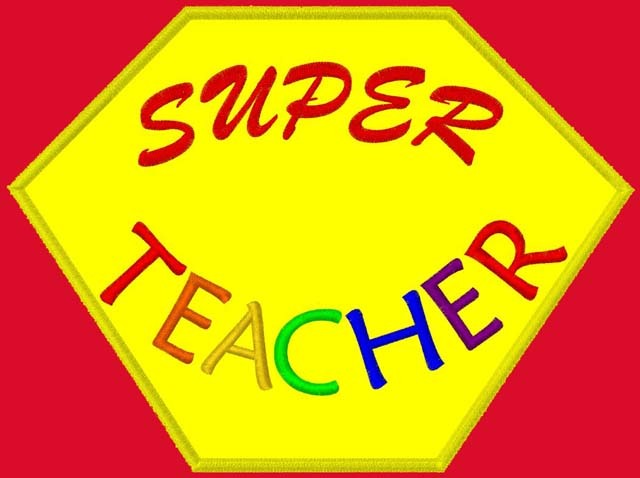 Default is red cape, yellow medallion, and rainbow Super Teacher. Great teacher gift! Who will forget a teacher who comes to class in a cape! If you think your child's teacher won't wear it - get a teddy bear sized cape to place on a teddy bear that can be displayed on the teacher's desk or at home.